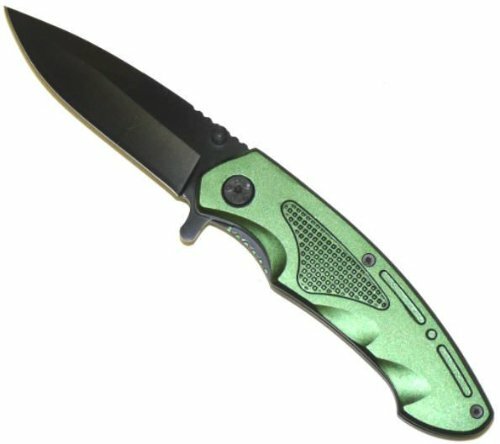 Bargain Priced High Quality Assisted Opening Knife .Green Anodized Aluminum Handles, Metal clip on back . Blade, Black finished 440 Stainless Steel, Non Serrated, Sharp . One hand opening with either hand .